Horticultural Therapy is the use of plants and gardens for rehabilitation and human healing. It is an ancient practice and a new profession as well. It is an interaction between people, plants and gardens to improve social, emotional, cognitive and physical well-being. Much horticultural therapy with children is education or developmentally-based and group focused. Horticultural therapy is often used as a form of group therapy, it can also foster socialisation skill, Patients with disability can benefit from horticultural therapy by simply working with plants in a natural setting. 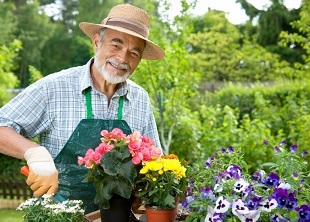 Horticultural Therapy may be beneficial in terms of healthcare, school, residential and in a rehabilitative setting. This course is offered as online or distance education. Where can we use Horticultural Therapy Programs? What do you need to be a Horticultural Therapist? What are Intellectual disabilities/ intellectually challenged/ learning? What are mental illnesses /mental health issues/ mental disorders? Learning Principles – What is Learning?